If you’re looking for handgun firearms instruction, look no further than KR Training. Too many shooters out there think they’re fantastic shooters already and don’t need to go to classes. 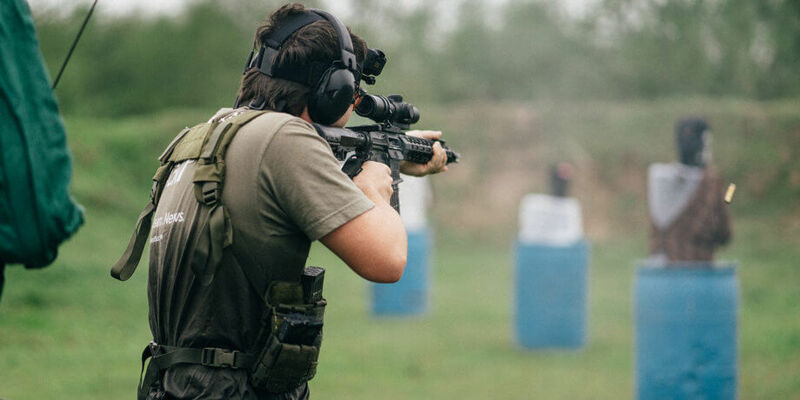 Instead of learning, these types of shooters think buying that shiny new piece of gear will make them a better shooter. A crappy shooter can’t shoot well with the most expensive gun and gear out there, and the best shooters out there can shoot very well with the most basic cheap gear available. If you’re looking to become a better shooter, don’t chase after the latest piece of shiny gear. Set aside your pride and chase after learning. Classes are one of the best ways to become a better shooter. The unfortunate truth is that not all shooting classes are created equal. When I’m looking for a shooting class, I have a few criteria I look for. 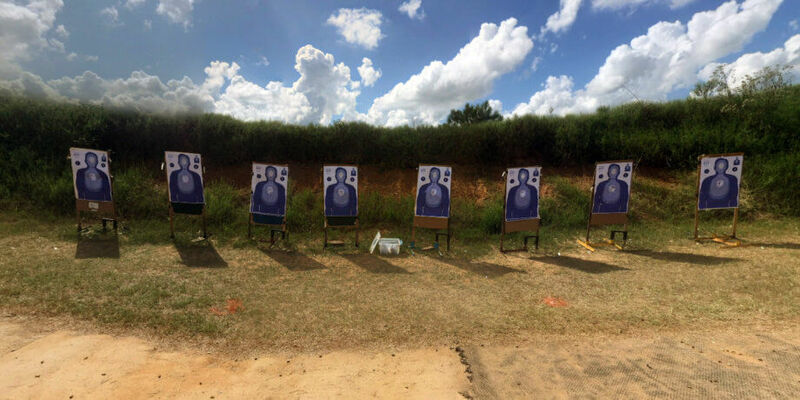 A certification and/or shooting skill does not mean the instructor is skilled at teaching. Being former police or military does not mean the instructor is skilled at teaching. The ability to communicate knowledge effectively is a skill in of itself. Educating while ensuring the safety for the entire class is yet another skill; unfortunately, one that not all firearms instructors have. If someone can shoot fast and accurately, but doesn’t know how hot to efficiently and safely impart that knowledge to the students, then the shooting class is worthless. If being a skilled shooter doesn’t necessarily make a skilled teacher, then the opposite is true. Just because someone is a great teacher, that doesn’t mean what they teach is worthwhile knowledge. And just because someone claims the technique they utilize is good, doesn’t mean it is actually good. 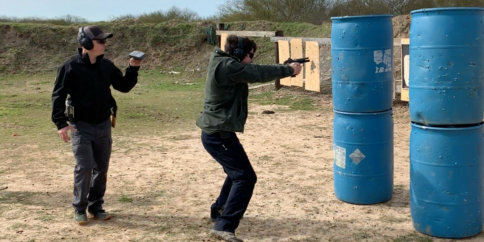 Instructors need to demonstrate their shooting technique is technique worth learning. Shooting instructors need to demonstrate this by shooting fast and accurate. This isn’t boot camp, nor is this the military. I’m out in the Texas heat because I want to learn, not get yelled at. Not everyone will care about this, but it’s my list. Sometimes shooters come to a class with too much or too little skill for that particular class. Or maybe they’re a good fit for the class, but they have one real strong bit of technique, and really tank in another. A good instructor will adapt and make sure each student can receive instruction to fill the gaps in their knowledge. Since I’m a reasonably skilled shooter, I’ve been to classes where this did not happen. The teacher recognized I was more skilled than some of my fellow students, so I was largely ignored. A good teacher will give specific drills and instructions for each shooter, no matter if they’re over or under skilled for the class. You don’t become a better shooter by doing everything at once. You become a better shooter by learning specific skills and combining them into fluid movement. A new shooter doesn’t learn how to shoot by immediately drawing from concealment – they start by simply holding the gun and putting rounds on target. Then the presentation of the pistol is introduced and so on and so forth. A good instructor will build on skills throughout the class while working towards and end proficiency goal. KR training met all of these expectations. Basic Pistol 2 (Defensive Pistol Essentials) and Defensive Pistol Skills 1 were fairly entry level classes. They expected you to have a basic understanding of how your pistol operates. The Basic Pistol 2 class focused on the fundamentals of marksmanship, while Defensive Pistol Skills worked on how to draw a pistol within the context of a defensive encounter. My goal for these classes was to give KR Training a trial run, confirm that my fundamentals were solid, and hopefully pick up on some little tips and tricks here and there. These two pistol classes were taught by John Daub, who was absolutely amazing. His support teachers also rocked. The class started in the classroom, which was nice given the Texas heat. The instructors handed out dummy pistols and we worked on grip and sight alignment. This was excellent for new shooters, as the instruction can be a little more hands on without worry about safety. A lot of shooters don’t realize how important the details of a good grip are. I’d argue that most shooters have a good grip on the pistol, or at best a mostly good grip on the pistol. Very few shooters have a handle on all of the minute details of a good pistol grip. After the classroom training, we ventured into the sun and the heat for the live fire range portion of the two pistol classes. This is where the skill and professionalism of the instructors really showed. Each shooter received one on one time with the various instructors out there. The instructors would take time to observe what we were doing, and provide recommendations custom tailored to the current skills of the shooter. I received some instructions on modifications of the drills to tailor them to my skills. Unfortunately, skilled shooters are easily neglected by instructors, so this really stood out to me. The safety awareness of the instructors was on point. The system that was setup really emphasized safe gun handling, despite how many inexperienced shooters were on the line. While there were no serious safety incidents, there were a few points where someone didn’t unchamber a round properly, or was getting close (but not quite) to muzzling others. These incidents were spotted and dealt with. All in all, very well handled – I never felt nervous about my fellow students. During the range time, the instructors had us progress through various drills. They would demonstrate the drill, explain the details of the drill, and then we would work through it in dry fire and then live fire. The drills all slowly built on each other. This allowed us to focus on the minutiae of each individual step, be it sight alignment, trigger control, or draw stroke. We started by just putting rounds on target with good sight alignment and trigger control. Then we worked on pistol presentation and (in the Defensive Pistol class) worked into the draw stroke. Every step was broken down into very small steps, which was excellent. We were also given tips on how to take these drills and work on them at home. In my opinion, any instructor who doesn’t provide advice on how to hone these skills on your own doens’t offer a class worth taking. While there will be improvements at the class, the only way to avoid skill atrophy and improve skills even further requires training on your own. I picked up on a few details and noticed huge improvements in my fellow classmates. It was an excellent day at the range. Who should take Basic Pistol 2 & Defensive Pistol Skills? These classes are prerequisites to the more advanced Defensive Pistol classes, so that’s a good starting point. 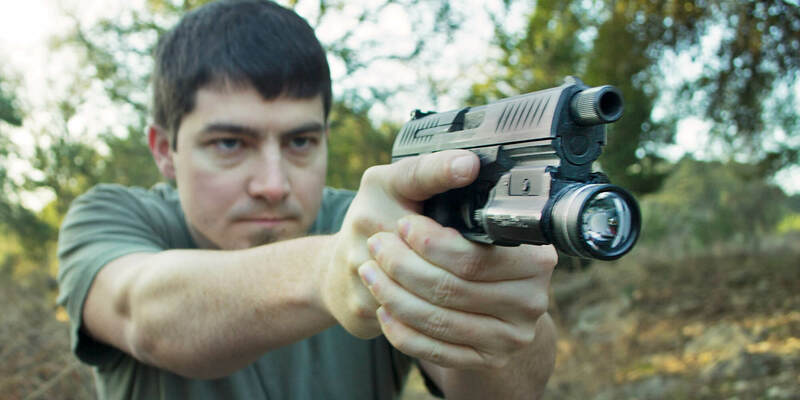 If you want to take KR Training’s advanced defensive pistol classes, you have to start here. Other than that, these classes are great for beginner and skilled shooters. I wouldn’t recommend these two particular to advanced shooters, but even skilled shooters will be able to pick up on some details of shooting that might be holding them back from reaching the next level. New shooters will learn more than they’ll be able to digest and will be in an excellent place to keep training on their own to become proficient shooters. I’ve also had the opportunity to take a private lesson with the owner of KR Training, Karl Rehn. Karl is an incredible shooter and instructor. 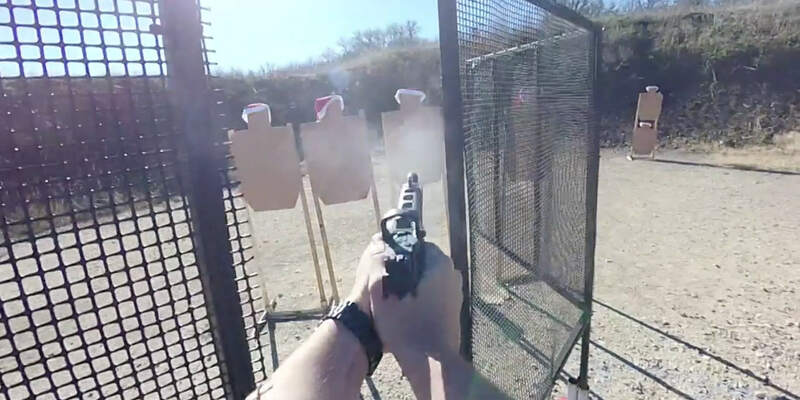 He possesses many qualifications, passed numerous shooting standards, and is a multi-class USPSA Grand Master. Few people can say they’re a USPSA Grand Master, and Karl holds several Grand Masters. The one on one class was absolutely amazing. He started by having me run a few drills so he could gauge my skill, and then we had a conversation about what I perceived to be my weaknesses and what I wanted to work on. From there, the private lesson was completely free flowing. He picked a few drills to work on what I had stated was my weaknesses, and then we moved from one drill to the next – building on each of these areas that I wanted to work on. The instruction was fantastic. I would run a drill, he would critique my technique, demonstrate the drill himself, and we would run the drill a few times in dry fire and live fire until things clicked. Like with the KR Training classes, he gave me plenty of drills and tips on how to practice these things at home. I saw a very measurable improvement by the end of class, and then after a few weeks of training based on his recommendations, yet another round of improvements. I plan on going back to Karl every few months (schedule permitting) for another private lesson. Think of it as a checkup to see how I’m progressing, and to find new holes in my skills for me to work on. Karl Rehn’s instruction has been invaluable in my progression towards my goal of becoming a USPSA Grand Master. In case you couldn’t tell, KR Training gets my wholehearted endorsement for shooters of all skills. 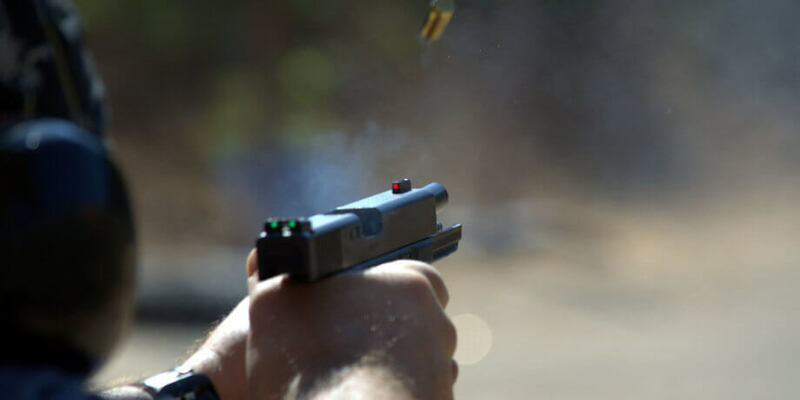 The class structure, instructors, and training philosophies are absolutely outstanding and will do more to boost your shooting proficiency than any new piece of gear.